What’s stopping you from getting a swimming pool? Most likely, it’s the cost – or else one of these factors. Residential indoor pools are growing in popularity. Here are the pros, cons, and pitfalls of building your very own natatorium. Perimeter or interior? Removable or permanent? Wood or vinyl? With all the options out there, choosing a pool fence is never simple. Pool Screen Enclosures: Are They Worth the Cost? 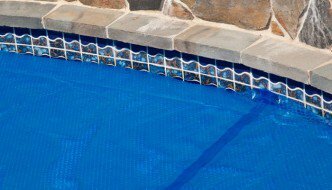 Screening off your swimming pool takes care of two potentially major annoyances – bugs and debris. But it also comes with some downsides. A good pool fence should keep your pool safe and private, while also being easy on the eyes. Here are some ideas to help you “swing for the fences” when building this must-have feature. Sign up for Pool Pricer updates! Pool Pricer is not affiliated with any pool builder or manufacturer. We provide independent, unbiased, and consumer-oriented information on swimming pools.